It’s almost time for kids to go back to school! 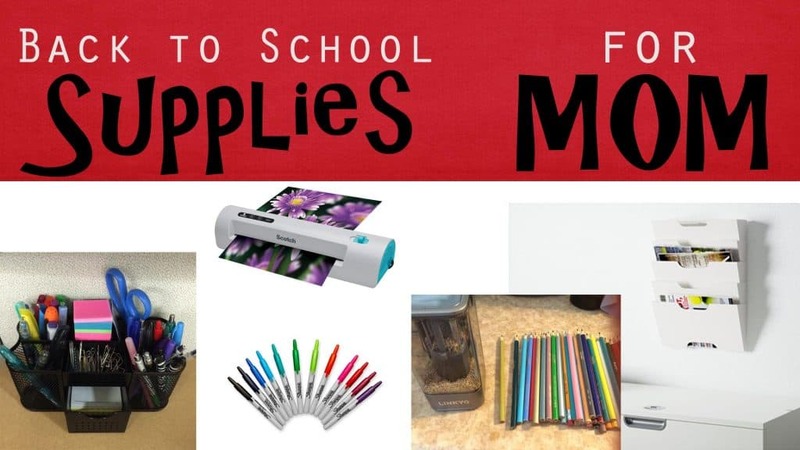 Here are a few school supplies moms need for making their lives easier. In just over a month, it will be that time of year again..back to school time. Four of my five kids will be in school, and boy does that bring mixed emotions. Summer means more freedom, later bedtimes, spontaneity, and no homework! It also means the almost constant making and cleaning up meals, wet towels left on the floor for the umpteenth time, and footprints all over my floors from my kids. And what feels like half the neighborhood. The first day of school brings a tear or two, followed by the excitement of some renewed freedom! I love the movie “You’ve Got Mail”, where Tom Hanks tells Meg Ryan (ya know, the “shopgirl”?) that if he knew who she was he would send her a “bouquet of newly sharpened pencils”? Well, not only do I love that fall time classic, I also love school supplies! I’m not talking paper, pencils, and glue, I’m talking school supplies just for mom. Simple tools, that make life so much easier, that you wonder why they haven’t always been in your mommy “tool box”? Here are a few of those things I wish I had known years ago, I shouldn’t live without. 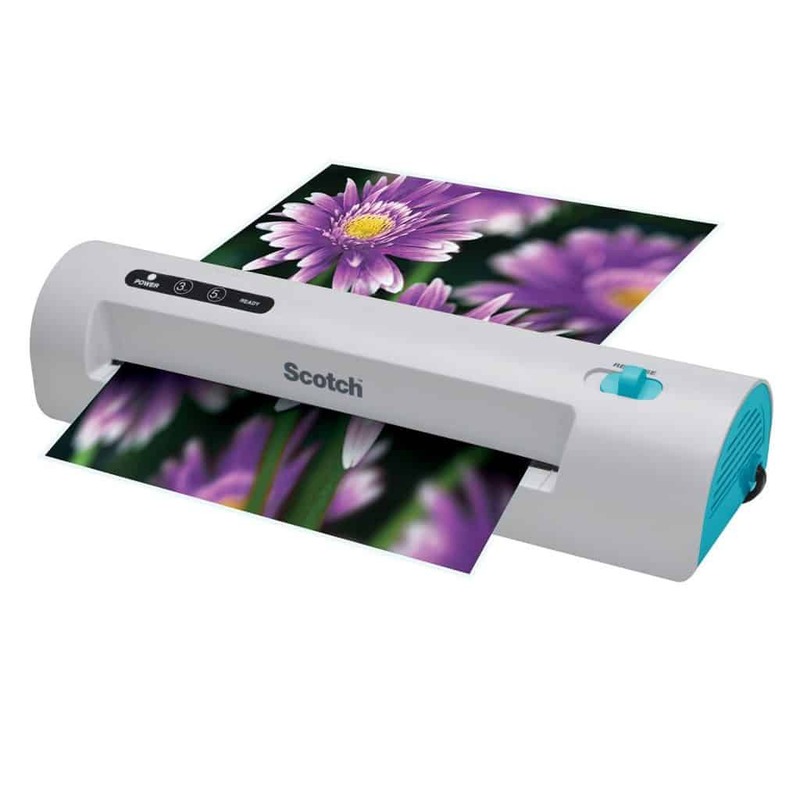 Are you wondering what you would do with a laminator? With so many different uses, you may wonder how you have lived without one. You can laminate baby mementos and kids artwork. Lamination makes them more durable and keeps them preserved and free from wrinkles or wear. Menu planner or weekly shopping list. Make a master list and laminate it to use it over and over again. Tape your master shopping list to your fridge and add additional items to your list with a dry erase marker. Laminated job charts are fun for kids to mark off when completed. Laminate recipe cards, so when grandma’s famous fudge recipe is inevitably splattered or spilled on, you can wipe it right off. The writing won’t fade, get wrinkled, or get ruined. Make quick inexpensive gifts like bookmarks, laminate pressed flowers or leaves, holiday placemats, or magnets… should I go on? In a world of free printables, laminating educational sheets, charts, maps, or math practice sheets, you open up a world of inexpensive activities. The possibilities are endless. Scotch is such a trusted brand and with the 100 pack of pouches in various sizes, you are able to do any of the projects listed above. 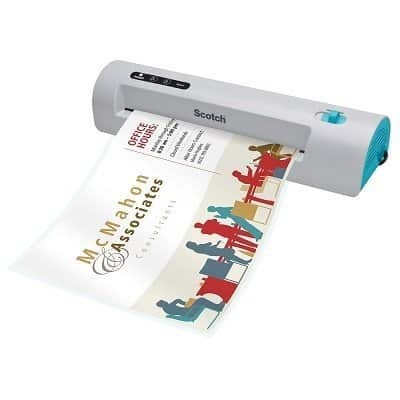 The laminator heats up quickly and only takes about a minute to laminate a full-size paper. It’s a game changer. When my kids are ready to start homework, instead of going through cupboards and drawers looking for the needed supplies, I like to have everything they may need in one place. This little supply caddy is nice looking, durable, and large enough to fit all the essentials. 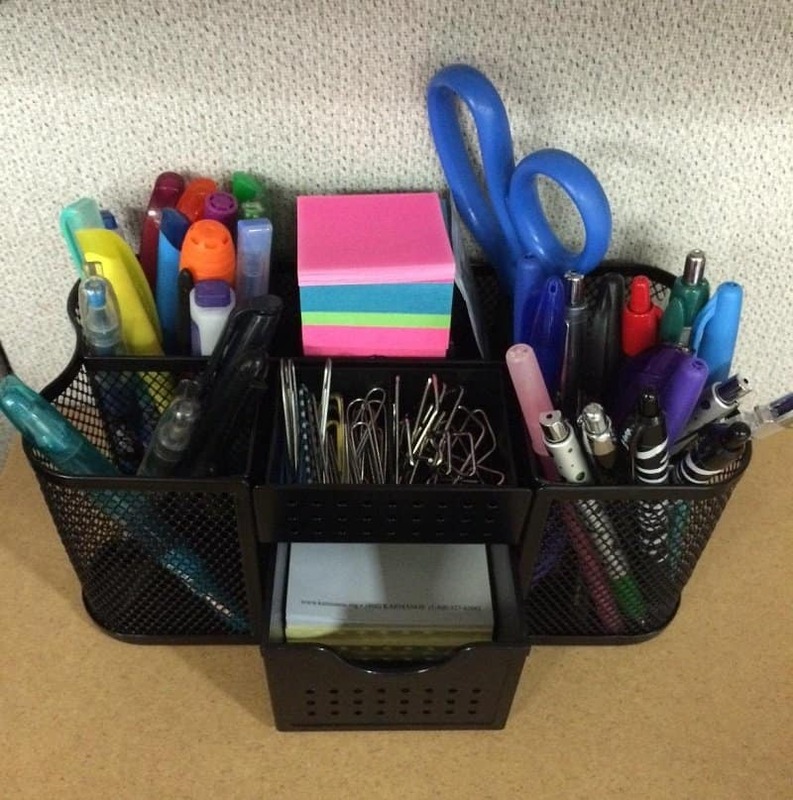 It has a place for pencils and pens, a stapler, scissors, and paper clips. 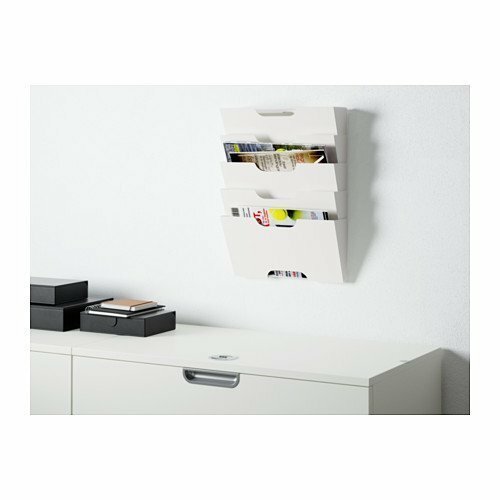 It even has a small drawer to store small things like magnets or push pins. The rubber feet on the bottom help it not to scratch my table or slide around. It’s perfectly portable to go from the cupboard where I keep it when not in use to the wherever homework is being done. Not only is it great for organizing school supplies, but can be useful in the bathroom to organize all those makeup brushes, lipsticks, q-tips, and things that usually go rolling around in a bathroom drawer. Being organized with the needed supplies makes homework much more enjoyable for the kids and mom. Who needs an electric pencil sharpener? That’s what I thought until a few years ago. I finally purchased one and can’t believe I waited so long. 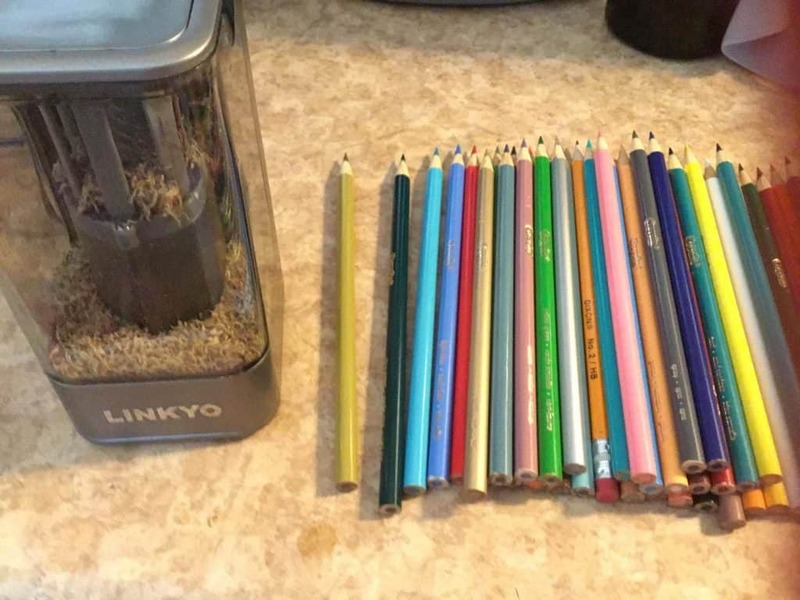 For the time it saves you to have you or your children sharpen pencils for math homework, art, colored pencils for drawing or adult coloring books, an electric pencil sharpener is a must. 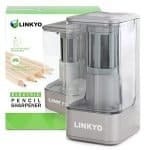 This sharpener is sturdy and sharpens the pencil to a perfect point, even shutting off when it’s reached that point perfection, just in case your kids are like mine and want to sharpen until there’s nothing left. My kids even fight over who gets to sharpen our seemingly hundreds of pencils. A pencil sharpener may be a silly thing, but it’s products that make our life more convenient that are worth the purchase. This is a great one for home use but is heavy duty enough for a teacher to use in the classroom. Be warned that when you do finally make this purchase, you may be the one fighting your kids to sharpen all the pencils to that allusive, perfect point. The thick, black, permanent marker is now a thing of the past. While permanent marker is one of mom’s most-used tools for labeling backpacks, jackets, lunch boxes, and gym clothes, permanent markers are now so much easier and fun to use. 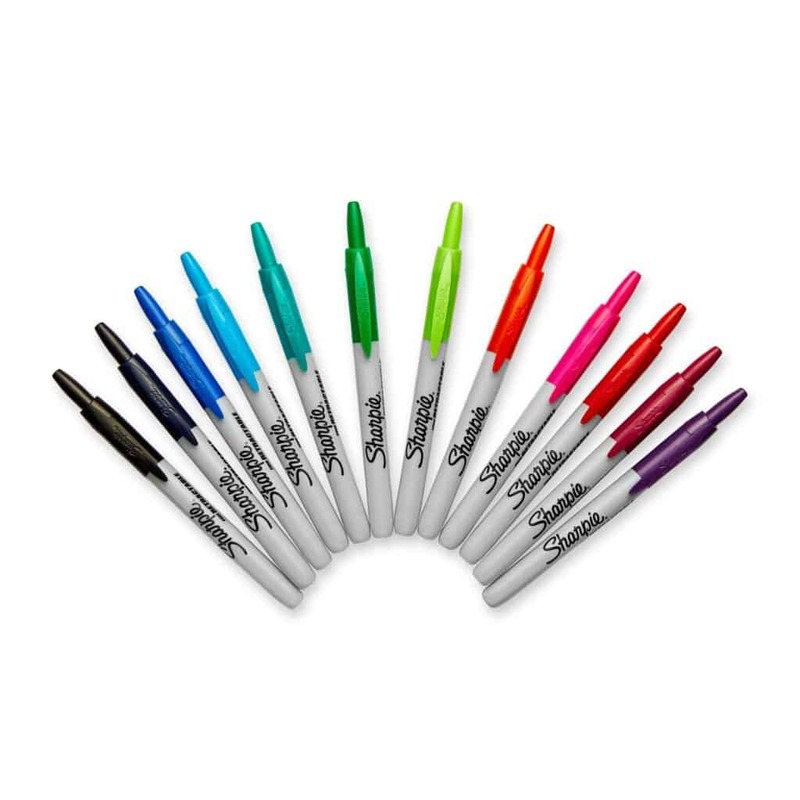 The Sharpie markers come in 12 different colors and are RETRACTABLE! Do you know what that means?! No more dried up markers with caps gone missing, and NO more toddlers covered in black permanent marker. The rainbow of colors and the thinner writing tip makes labeling, poster making, and project finishing a breeze, not to mention more colorful. A good permanent marker is a must for mom, and now with the fun colors that won’t dry up and a thinner tip that makes the writing actually legible? Now that’s something this mom can get excited about! Last year I had four kids in school from Kindergarten to 8th grade. The bombardment of paper from each child that came home each day was overwhelming. With permission slips, homework pages, and picture packets, the unorganized paper was taking over. 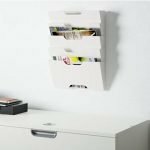 In comes this perfect solution: a wall hanging file organizer. For me, I can use one “pocket” for each child’s paperwork that comes home each day. If you don’t have that many kids or kids in school, you certainly could use it for sorting mail, holding magazines, or keeping track of receipts or bills. My kids learned that each day and as they unload their backpacks, they put any papers to sign, homework assignments, etc. in their individual folder. Suddenly we had a specific place for each child’s papers to keep them off my desk, off the floor, and out of their backpacks. Well, at least that’s what it would look like in an ideal world. 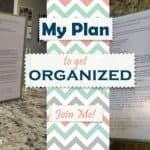 For this mom, it’s those little things that help keep my home and life organized, that make a big difference. Is there a tool or supply you can’t live without? I would love to know what I may be missing out on.